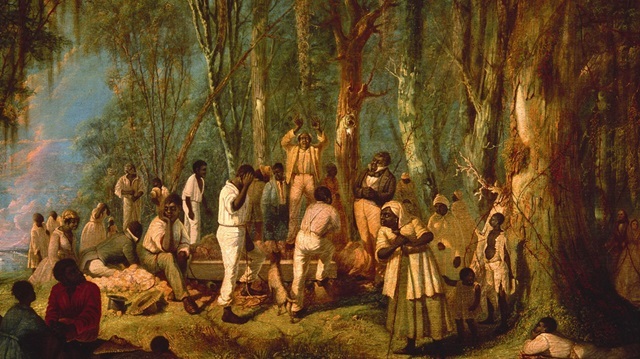 The most important aspect of Christianity for the enslaved was the promise of heaven — a promise made by plantation owners. This idea preached the notion that for all the suffering that is done in the physical world, your soul will be preserved and you will experience a hardship-free spiritual life, according to Slave Resistance, A Caribbean Study. What this did for enslaved Black people was give them hope for the future. Converted enslaved people’s belief in heaven allowed some to passively resist their plantation owners and focus on the afterlife. With that belief, all of the beatings and lashings meant nothing because in heaven the enslaved person would be rewarded and the master would be punished.